The glass is transparent but it is mysterious too, though it is fragile yet versatile to transform and provide high level of safety security and aesthetics that no other material can do. 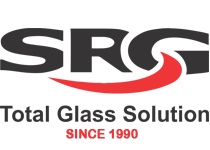 SHREE RANG GLASS started its business operations as a glass designing unit way back in 1990 in Ahmedabad, the business capital of Gujarat. In the year 2005 SRG ventured in to architectural float glass processing business and became Ahmedabad's first fully integrated glass processing company by setting up an state of the art architectural float glass processing plant at Narol, Ahmedabad. The machine tools and equipments for glass processing are sourced from Europe and Asia. 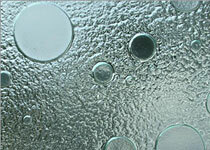 Heat Strengthened Glass is produced from annealed glass using lower air quenching pressure. 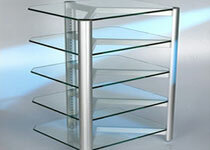 The sudden cooling causes compression on glass surface and the edges and remaining part develops stress zones. 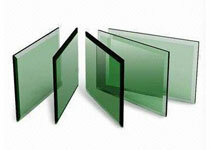 Fully Tempered Glass "popularly known as toughened glass" is made of annealed glass. It is 4 to 5 times stronger than an annealed glass & twice stronger than a heat strengthened glass. 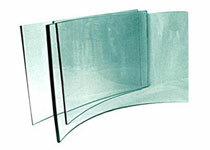 Insulated Glass unit is manufactured using two or three glass panes with an aluminum spacer in between filled with molecular sieves/desiccant creating still air/gas gap between the glasses. Ceramic Fritting or Back Painting of Glass offers endless options to architects and designers for creative designing by coloring of glass. Laminated Glass is made by placing pvb or eva inter layer films between two or more sheets of annealed / heat strengthened / tempered glass.